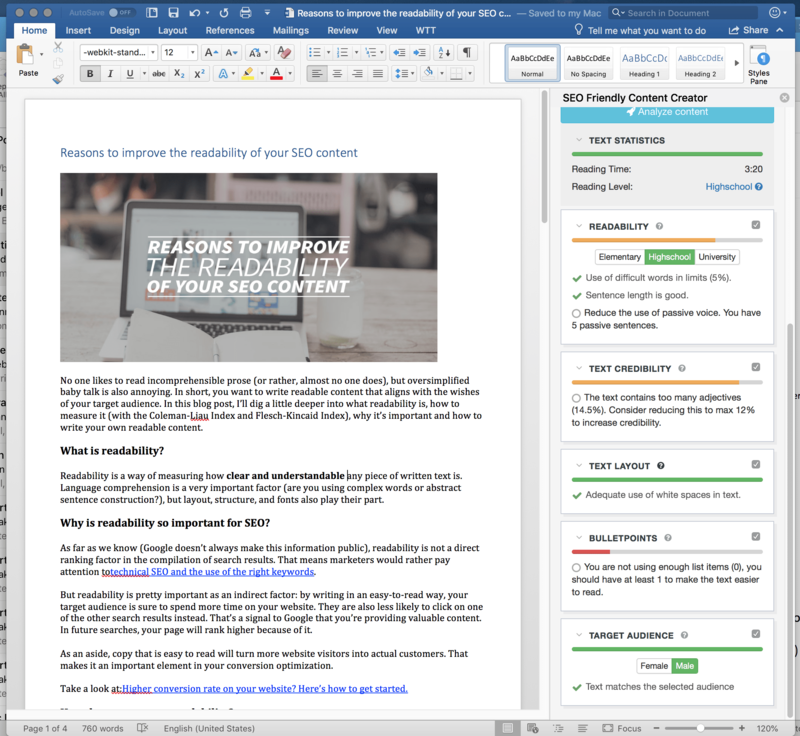 This add-in works in Word 2013 Service Pack 1 or later, Word 2016 for Mac, Word 2016 or later and Word Online. 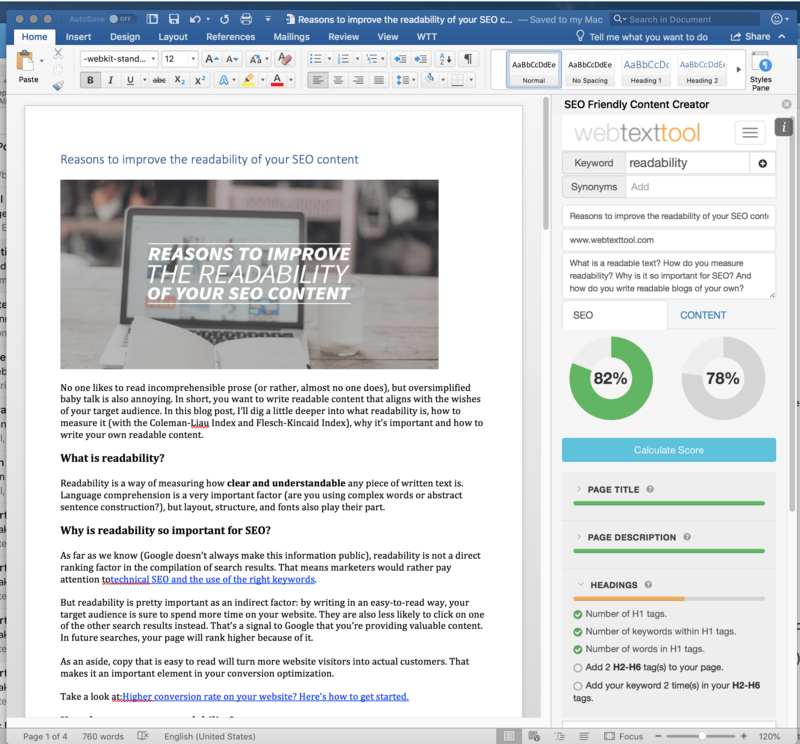 The webtexttool plugin integrates with Word. While writing your content, you will see realtime suggestions on how to improve your content. The suggestions will show directly alongside the editor, so they are clearly visible and easy to follow.